The chilling account of how Vladimir Putin, a low-level, small-minded KGB operative, ascended to the Russian presidency and destroyed years of progress to make his country once more a threat to her own people and to the world. The Man Without a Face is the chilling account of how a low-level, small-minded KGB operative ascended to the Russian presidency and, in an astonishingly short time, destroyed years of progress and made his country once more a threat to her own people and to the world. Handpicked as a successor by the "family" surrounding an ailing and increasingly unpopular Boris Yeltsin, Vladimir Putin seemed like a perfect choice for the oligarchy to shape according to its own designs. Suddenly the boy who had stood in the shadows, dreaming of ruling the world, was a public figure, and his popularity soared. Russia and an infatuated West were determined to see the progressive leader of their dreams, even as he seized control of media, sent political rivals and critics into exile or to the grave, and smashed the country's fragile electoral system, concentrating power in the hands of his cronies. As a journalist living in Moscow, Masha Gessen experienced this history firsthand, and for The Man Without a Face she has drawn on information and sources no other writer has tapped. Her account of how a "faceless" man maneuvered his way into absolute - and absolutely corrupt - power has the makings of a classic of narrative nonfiction. His early life has the ring of legend about it - the legend of a postwar thug. It starts in Leningrad in 1952, just eight years after the end of the Siege of Leningrad. His parents, Maria and Vladimir Putin, had survived the siege in the city. The elder Vladimir Putin had joined the Army in the early days of the Soviet-German war and had been wounded seriously in battle. These were the future president's parents: a disabled man and a woman who had come very close to dying from starvation and who had lost her children (a second son died in infancy several years before the war). But by the measure of the postwar Soviet Union, the Putins were lucky: they had each other. To have lived not only through the war but through the siege, and to still have your spouse - and your home - was, essentially, a miracle. This is incredibly brave journalism - her account of Putin's single-minded and gradual takeover of Russia is breathtaking, if at times relentlessly critical. Gessen's crisp writing style makes The Man Without a Face read like a well-paced page-turner. One doesn't need to know much about Russian politics to truly enjoy this book - Gessen gives readers enough historical background so that those without prior knowledge of the underlying geopolitics can still appreciate the book. (Reviewed by Poornima Apte). A brilliant reconstruction... [Gessen] has written something rare: an accessible book about an unreachable man. As Masha Gessen acknowledges in her luminous study of Russia's forever leader, getting rid of Putin will be tough. 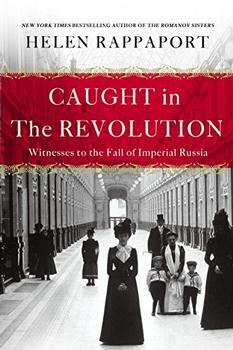 Gessen's family emigrated to America when she was 14, but she returned to Moscow to work as a journalist in 1991. Her engaging prose combines a native's passion with a mordant wit and caustic understatement that are characteristically Russian. But is her Putin authentic? If some of her claims are debatable, all are plausible. How Putin rose to power is spelled out in Russian journalist Masha Gessen's new book, The Man Without a Face: The Unlikely Rise of Vladimir Putin. She says Putin, a KGB operative with little government experience before he was first elected in 1999, was specifically selected by the elite cohort that surrounded former President Boris Yeltsin. In a country where journalists critical of the government have a way of meeting untimely deaths, Ms. Gessen has shown remarkable courage in researching and writing this unflinching indictment of the most powerful man in Russia... Although written before the recent protests erupted, the book helps to explain the anger and outrage driving that movement. It is during her reporting in Chechnya, during the separatist wars that ravaged the country, that journalist and author Masha Gessen got deeply involved in the larger political context of both the war and Russian President Vladimir Putin's handling of it.